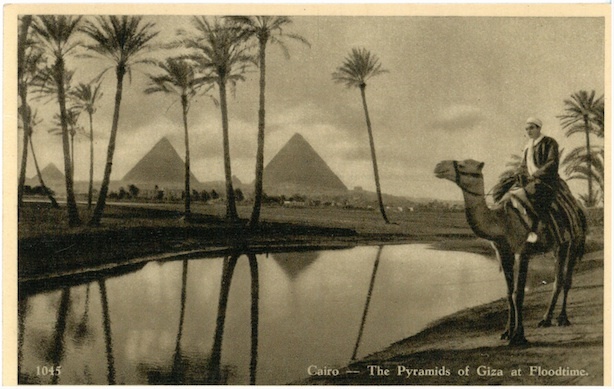 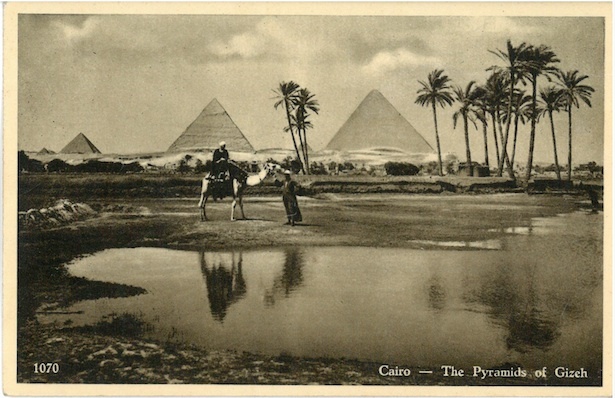 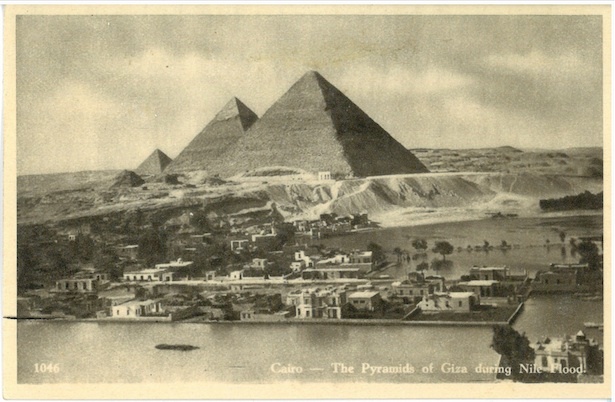 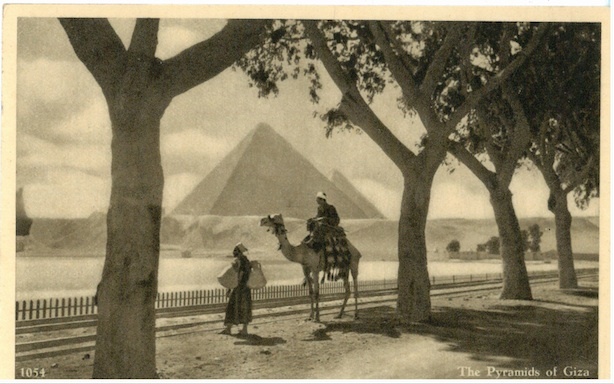 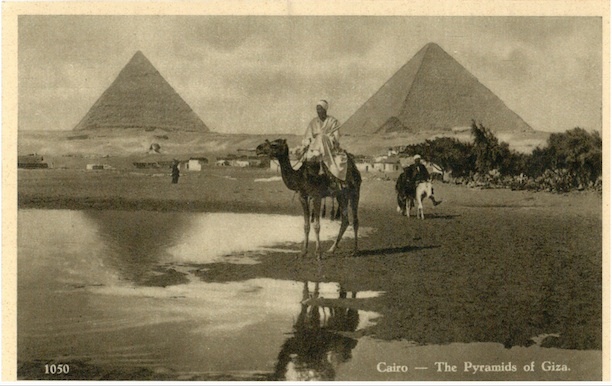 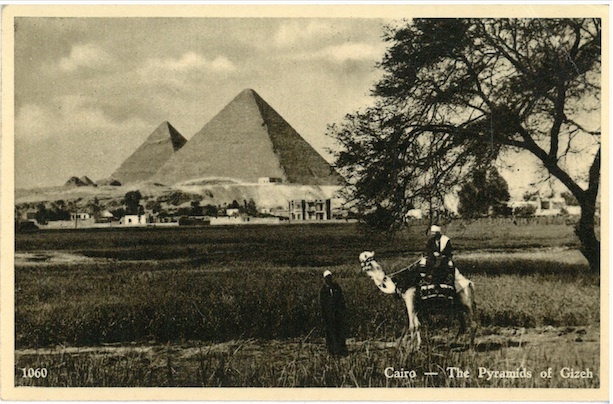 While my grandfather served in Egypt, he purchased a number of postcard sets. 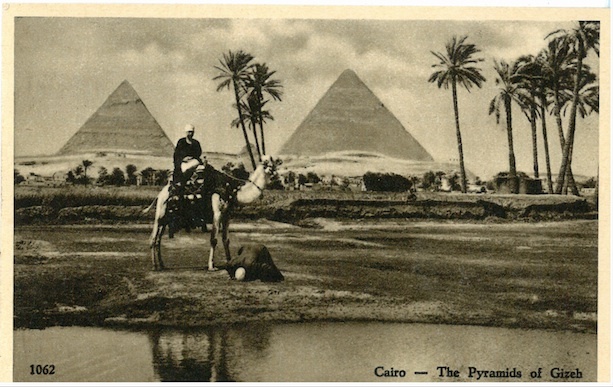 These most likely would have been purchased between 1941 & 1943 when he was on leave and went to Cairo. 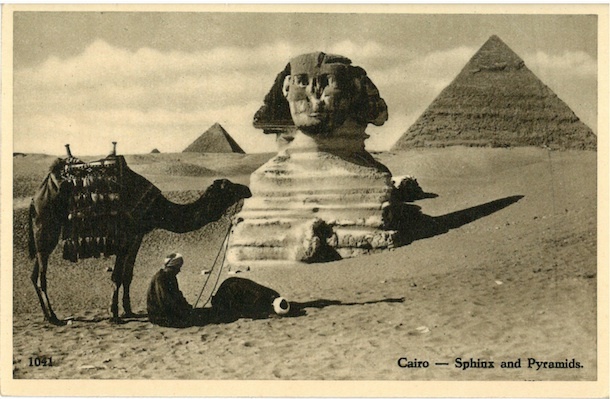 This lot are all sepia print ones of the Pyramids and Sphinx. 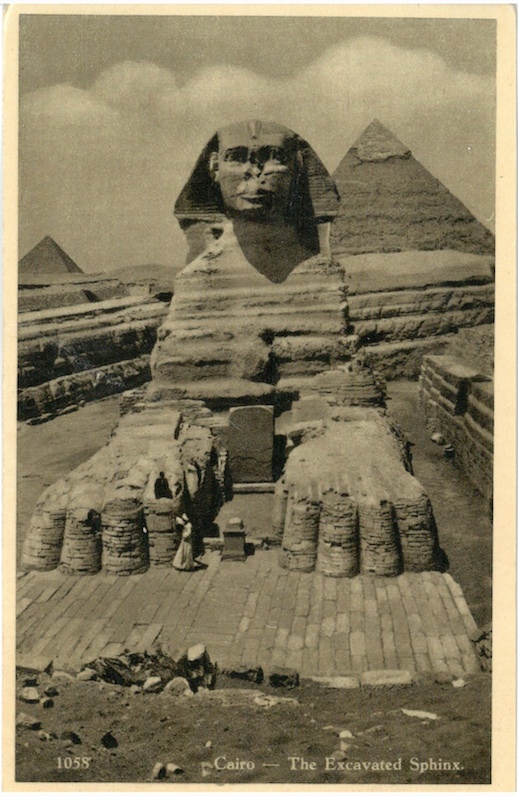 I blogged previously about the postcard he sent on route to North Africa when he stopped in Australia. 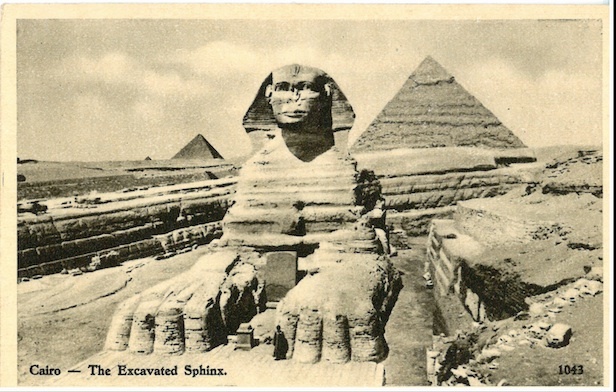 I found that for some reason the photos in this blog post didn’t work correctly so I’ve now added them and hopefully you will see them ok.